The year is 1849 and a mysterious serial killer is roaming the streets of Baltimore using Edgar Allan Poe’s tales of terror to inspire his grisly murders. It may not be the most original idea, but it’s still does enough to set it apart from every other bog-standard whodunit. But, to be honest, it’s not really Poe that makes the difference; more so the period setting. The links to the writer’s unrecorded final days are tenuous at best, but seeing the mystery unfold in a swirl of tailcoats and Baltimore fog is enjoyable. As are the cast, for that matter. For an otherwise B-movie production, there’s some pretty high-profile talent on show here. The trio of John Cusack, Luke Evans and Brendan Gleeson, in particular, add a touch of class to the whole thing. 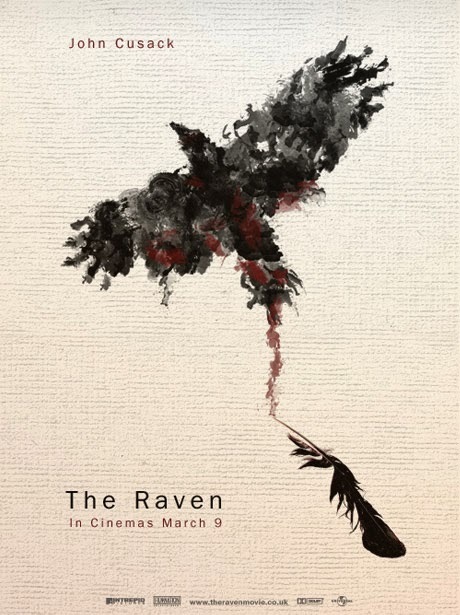 The denouement lacks any real weight but, overall, ‘The Raven’ is still a fun ride . . . even if it is twenty minutes too long. ← Dawn of the Planet of the Apes – Movie of the Year?